The first Yacht Risk Management Demo Event will be held at 1:30 p.m. Thursday at Newport Shipyard in Rhode Island. 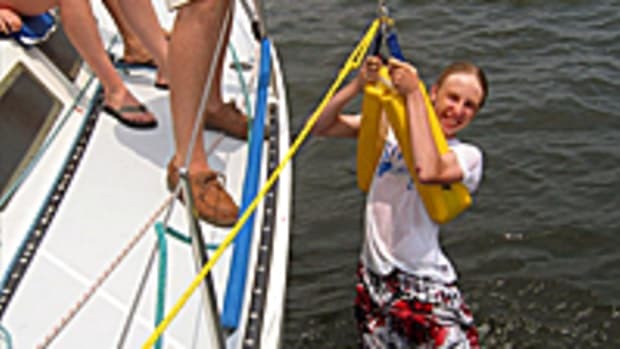 Local and visiting yacht skippers and crew will gather for the “Offshore Search & Safety Seminar” presented by insurance provider Chartis, along with Newport-based Triton Insurance Agency and Newport Shipyard. The Private Client Group division of Chartis and Triton Insurance conceived the event as part of a commitment to help yacht owners and enthusiasts take proactive steps to maximize safety and prevent avoidable losses. As part of the afternoon event, the Coast Guard will conduct a live at-sea emergency evacuation demonstration using its MH-60T helicopter. The Coast Guard will also introduce and field questions about Rescue 21, a new communications system that will allow responders to quickly locate mariners in distress in the course of a search and rescue mission. “This event is open to anyone in the yachting community, and interested members of the public are invited to the helo demo,” said Peter Himler of Chartis. 4:30-5:15 p.m.: Jerry Kirby, the veteran America’s Cup Sailor, Volvo Pro and Yachting Commentator who has had his own share of experience with emergency situations, most recently with the Rambler incident during 2011 Fastnet Race. For information, contact Peter Himler, phimler@flatironcomm.com, (m) 516-729-6461; or Danielle Masse, (m) 646-739-3519.